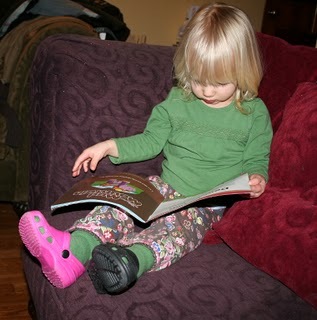 Juliana dragged her crocs out to wear and instead of a matching pair, she selected one pink and one black – both right shoes as well. 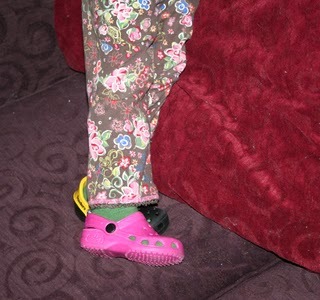 She is so into having her clothes, socks, shoes, everything matching these days. 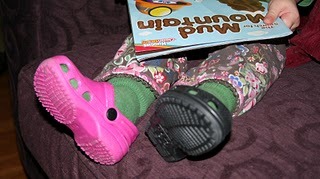 But in this situation she was quite happy with 2 right shoes.